Do you have an old tire lying in your home that is of no use to you? If yes then give it a second life as a planter. 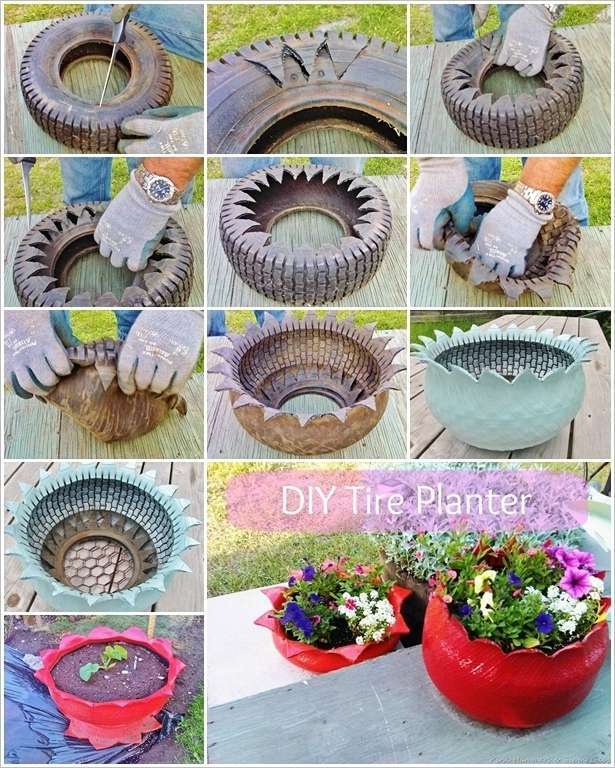 To make a tire planter first carefully make cuts in the old tire in a zigzag manner with a sharp knife as shown. Remove the piece that come out and put it aside to use later. After that bring the tire inside out. Put the piece in it and line it with chicken wire. Paint the tire with outdoor paint in the color of your choice. Put in some soil and plant flowers or plants that you like.